The rent at Grayson at Baybrook Apartments ranges from $1,055 for a one bedroom to a $1,505 two bedroom. Apartments in this building are about 6% more expensive than the Clear Lake average. This is a pet-friendly apartment. This apartment is in the Clear Lake neighborhood in Houston. Nearby parks include Heritage Park and Sterling Knoll Park. Grayson at Baybrook Apartments has a Walk Score of 48 out of 100. This location is a Car-Dependent neighborhood so most errands require a car. CLEAR LAKE'S ANSWER TO CONVENIENT LIVING. Conveniently located in the beautiful Clear Lake area. The Grayson at Baybrook is close to numerous retail shops, Baybrook Mall, entertainment and many fine restaurants. 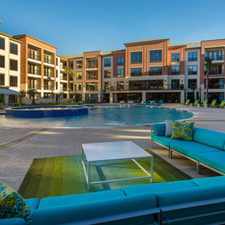 The Grayson at Baybrook is easily accessible via I-45, Beltway 8 and Highway 146. A selection of eight generous floorplans with outstanding amenities has been designed specifically with you in mind. The Grayson at Baybrook offers a lifestyle providing comfort, quality, and excellence. Explore living beyond the ordinary; come home to The Grayson at Baybrook! Explore how far you can travel by car, bus, bike and foot from Grayson at Baybrook Apartments. Grayson at Baybrook Apartments is in the Clear Lake neighborhood. Clear Lake is the 70th most walkable neighborhood in Houston with a neighborhood Walk Score of 34.